Women often view the breasts as an important aspect of their femininity. Unfortunately, many women are dissatisfied with the natural size or shape of their breasts, while others are unhappy with the physical changes their breasts go through after experiencing pregnancy, breastfeeding, or weight loss. Breast augmentation with breast implants improves the size and shape of the breasts to boost a woman’s confidence and enhance her overall figure and proportions. It is extremely important to plastic surgeon Brian F. Burns that each of his patients is completely satisfied with the results of their breast augmentation procedure. To ensure this satisfaction he takes a great deal of time planning out each aspect of surgery, including which type of breast implant will be used for breast augmentation. 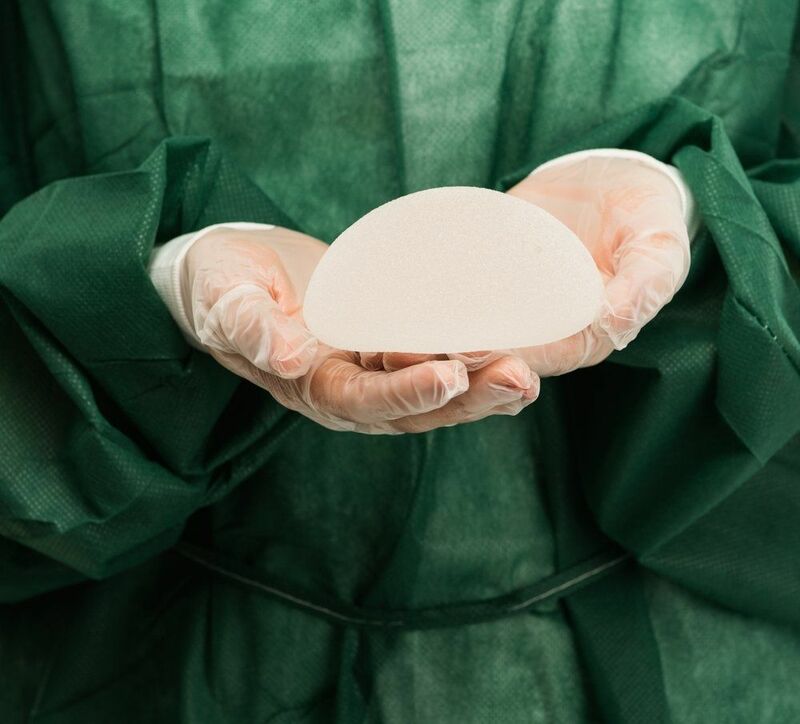 Here, we discuss some of the pros and cons of silicone breast implants, a popular implant choice among our Victoria, TX patients. Silicone breast implants are silicone shells that are filled with a silicone gel. Silicone gel has a soft feel that closely replicates the feel of natural breast tissue. The natural look and feel is one of the greatest benefits of silicone breast implants. Most patients find that silicone implants provide more natural-looking results, while saline implants tend to look rounder and feel less natural. Another benefit of silicone breast implants is that they are less prone to some of the potential cosmetic complications of breast implants. For instance, while saline implants may develop a rippling appearance that can be noticeable through the skin (especially in thin women), it is highly unlikely that silicone implants will ripple. Silicone implants also weigh less, so are unlikely to drop down to the bottom of the breasts as saline implants sometimes do over time. Just as with saline implants, silicone breast implants have both pros and cons. One of the greatest disadvantages of silicone implants is how to deal with potential leaks or ruptures. If a silicone implant ruptures, it is not likely to be noticeable from the outside, so it can take a while to detect. The silicone gel is designed to stay in place, so any leak or rupture will require a thorough cleaning of the breast implant pocket before a new implant can be placed. Because silicone ruptures are likely to go unnoticed, patients are asked to consider routine MRI scans to monitor the structure of the breast implant. Another potential downfall of silicone implants is that they are pre-filled, whereas saline implants are filled once they have been implanted in the body. While Dr. Burns can still achieve excellent aesthetic results with silicone breast implants, they do require a larger incision than saline implants. This may limit a patient’s breast augmentation technique options. Both saline and silicone breast implants carry unique advantages and disadvantages. Fortunately, both implant options are safe and have provided positive aesthetic results for women. Neither implant option is better than the other; it all comes down to personal preference and finding the right fit for each of our unique patients. Breast augmentation is a highly personalized procedure that involves a lot of decision-making. Fortunately, our patients do not have to make those decisions alone. Dr. Brian F. Burns is here to answer any questions a patient may have. To learn more about your breast implant options and how to get the best results from your breast augmentation procedure, schedule an appointment with Dr. Burns at your earliest convenience.